Candice's Princess Bride Bridal Shower! 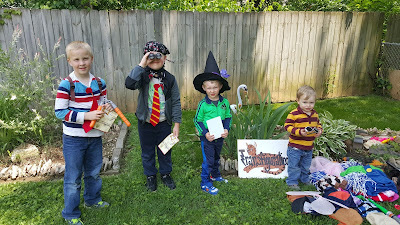 So, I know it's been awhile (in blogging time...) but remember how I mentioned that I co-hosted a bridal shower the same weekend as we had Henry's Harry Potter birthday party? Well, GUESS WHAT I AM BLOGGING ABOUT TODAY?! My sister in law Candice is getting married in... wow, is it only five weeks away? Yes. Five weeks (!!) and so my other sister-in-law Nicole and I (along with major help from my sister because she is awesome) hosted a Princess Bride themed Bridal shower and it was SO STINKING ADORABLE. Nicole ordered these Princess Bride figures for the cake. Seriously, are they not the cutest thing you have ever seen? Twue Wuv banner... a requirement for any Princess Bride shower, obviously. Now back to some shower details (we are just going to jump around in this post... I assume you don't mind) Nicole made up an awesome shower game where everyone got a groom, and as Candice opened presents we would call out numbers and you had to pass them around. Whoever have Lucas at the end of the shower won a prize. We also did the game where we (Nicole) asked Lucas 20 questions and then we asked Candice the same questions at the shower to see how many they answered the same. 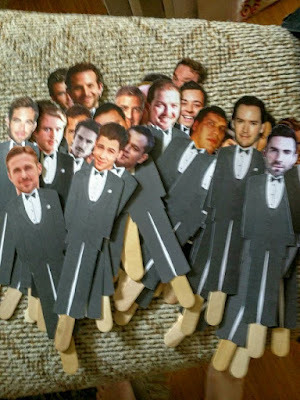 It's my favorite bridal shower game! And we (Nicole) made these signs! More gifts! Actually, a really REALLY sweet book made by her dad. Well done, Dale. Congratulations Candice and Lucas! We can't wait for your big day! Thank you to all of those who sent in pictures with your grey. It was so moving to see so many of you taking time out of your day to think of our sweet Missy and support brain cancer awareness month. You can see all the pictures here. So, we had a pretty big birthday party last weekend. It was.. magical. Seriously, I loved it so much. And possibly even more magical was the fact that, even though we should have learned our lesson last year, we once again planned an entire outdoor party and the weather turned out PERFECT! 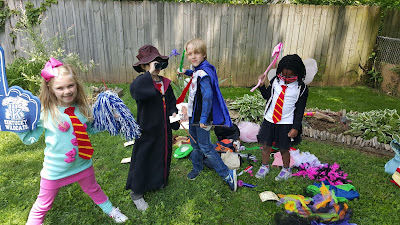 We had 11 kids at the party this year, so we broke them up into "classes" so kids didn't spend so much time waiting to play a game. Each group of kids got a class schedule, so they knew what order to go to their four classes. 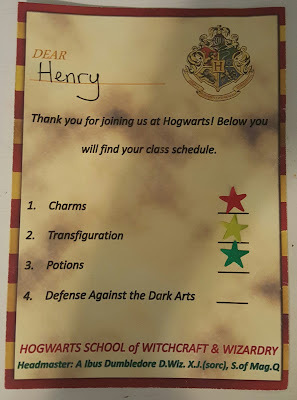 In the Charms class all kids got wands, which was extremely awesome. My sister ran the class and had confetti poppers which she set off whenever a wand was officially selected. The kids LOVED it! Once they all had a want they had to practice their charms by keeping a balloon in the air using Wingardium Leviosa. 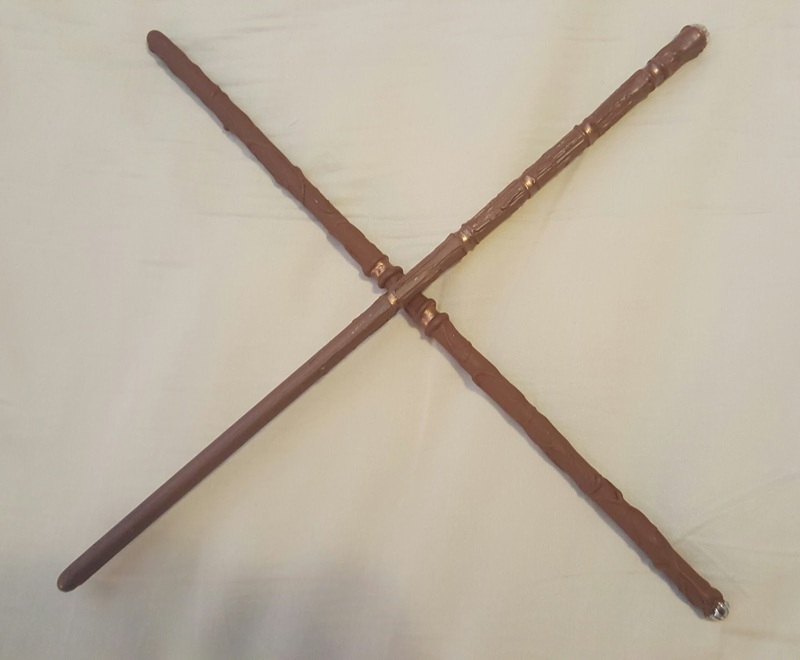 Wands ordered from here and they were so amazing! 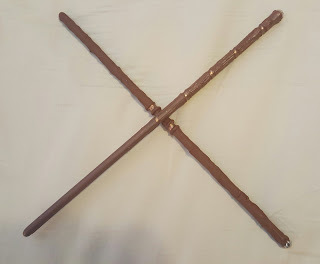 Each had a scroll tied to it with the wands wood type, length, and core. In Transfiguration class all kids pulled a card to see what they needed to transfigure themselves into. They had to dig out the pieces of costumes needed to complete their transfiguration, then get their picture taken to earn their star. Potions class was pretty special. 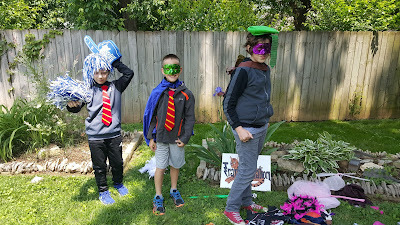 Nick developed two potions, and strength potion which the kids drank (Swamp water (diet Coke), Dragon eggs (mentos), and desert sand (sugar in the raw). While still bubbling they had to scoop out some of their potion and drink it to provide extra strength during defense against the dark arts. The second potion was a fast growing plant potion. He had all the kids plant a seed in a plant container. I cannot remember the names of the solutions, but they took a purple liquid (water from boiling red cabbage) and then added several scoops of baking soda which turns the solution green. Next they add vinegar, which turns the solution pink and causes it to bubble. They then poured it over the dirt with their seed in it and put in a flag with their name. 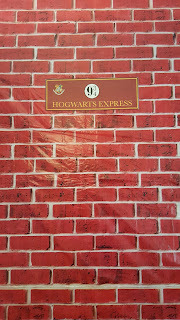 The final class was Defense Against the Dark Arts. Henry was pretty set on wanting to fight Lord Voldemort at the party. 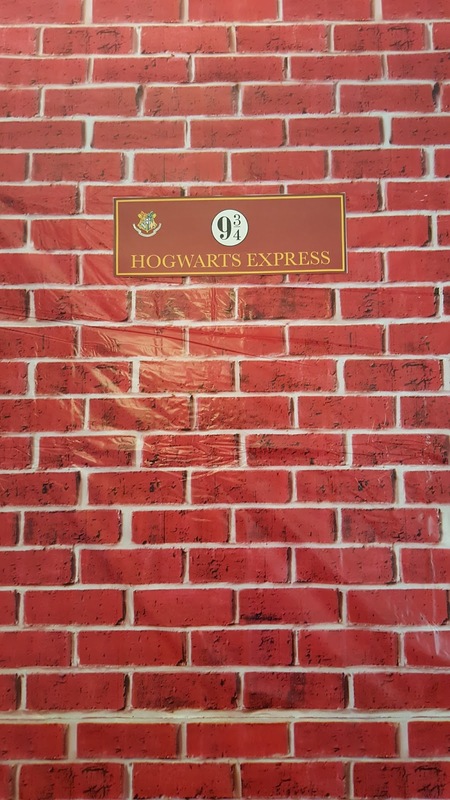 And shockingly enough, you can't buy a Lord Voldemort pinata. So I made one! But I was concerned that I didn't actually know how to make a real pinata, so I bought a spiderman one and just covered it with black tissue paper to turn him into Lord Voldemort. I was pretty proud of how he turned out! And that was the end of the games! They were such a hit! Next up my mom made brownies with Chocolate frogs on them, which were ADORABLE. Here are a bunch ( Seriously.. so so many...) of the other pictures because, well, you know how I love pictures.